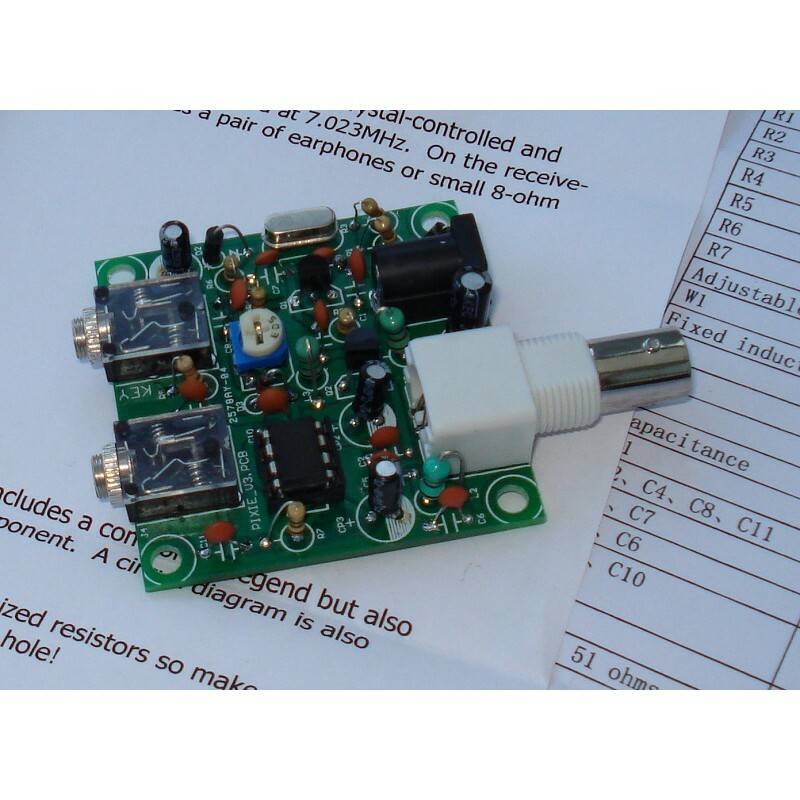 The 40m Pixie is about as simple as a CW transceiver gets: A QRP crystal-controlled with a basic "key" input and minimal components. 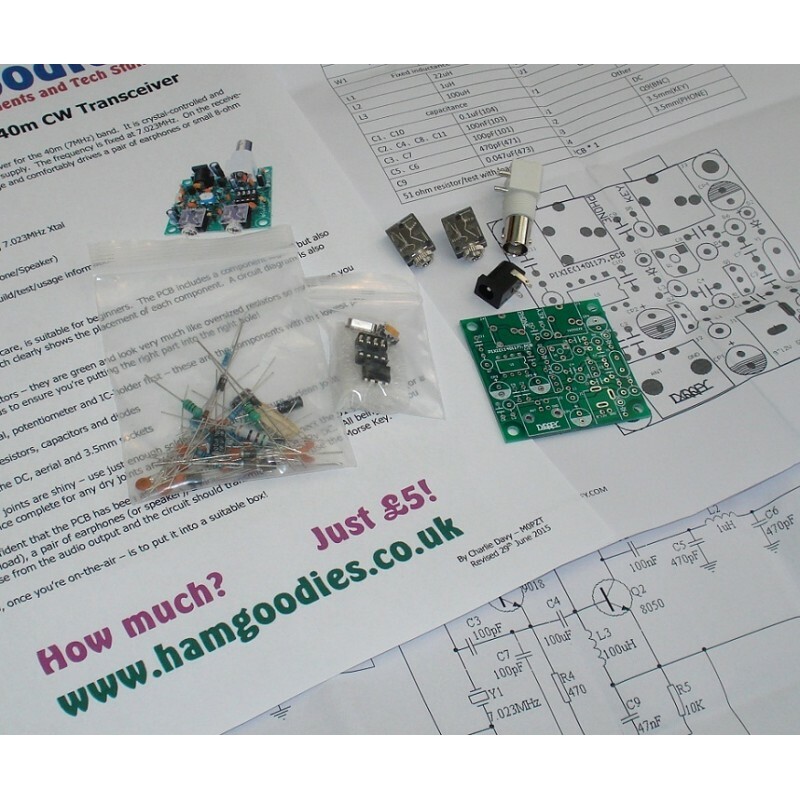 We supply our own build instructions with this kit (others don't), so this kit is suitable for even the beginner - You will need an Amateur Radio licence to transmit with it. Once built, it has a fixed transmit frequency of 7.023MHz and the RX can be shifted a few hundred Hz via the variable pot. Difficulty : 3/5 - Some soldering experience is advised as care needs to be taken when applying heat to the PCB - but, with care and/or guidance, this project can be suitable for a beginner. 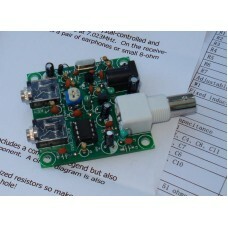 This project is a level 3 as it requires more thinking regarding component placement and assembly. 7.023MHz crystal supplied - 7.010 and 7.030MHz crystals back in stock! FREE 2.1mm DC to 9v PP3 adapter cable! Yes, it's really just £5 - and a great excuse to melt some solder and improve your Morse skills... We built one and ours reached the Dutch WebSDR at Twente when fed into a resonant dipole at 15ft AGL.